These 1-ply paper towels from Boardwalk are the ideal hand-drying option for any public restroom or hand-washing area. 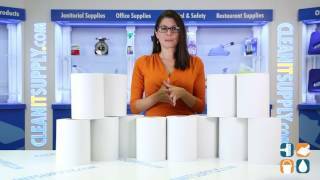 With 350 feet per roll, Boardwalk Hardwound Paper Towels are durable enough to suit any high traffic location like schools, offices, medical and healthcare facilities and more. 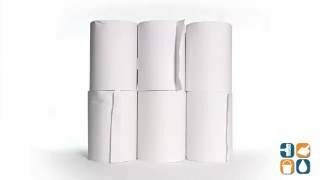 Simple to use, stock, dispense, and install, these soft, embossed paper towels are a great fit for just about any environment where hand-washing is a priority. Boardwalk paper towels exceed all EPA guidelines so you can save money and feel good about your purchase. 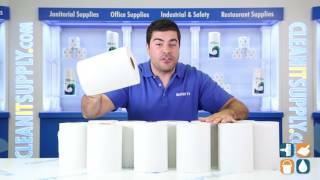 Stock up on Boardwalk Hardwound Paper Towels today and save! I ordered the toweling to use for home cleaning. The towels are wonderful for windows knick-knacks, auto care & much more, as they are lint free. I told a friend about them, and we shared a case. When they are all used we will be ordering more! Would recommend your company to other busines owners.